A new generation of farmers is taking shape, both in Cleveland and around the country. 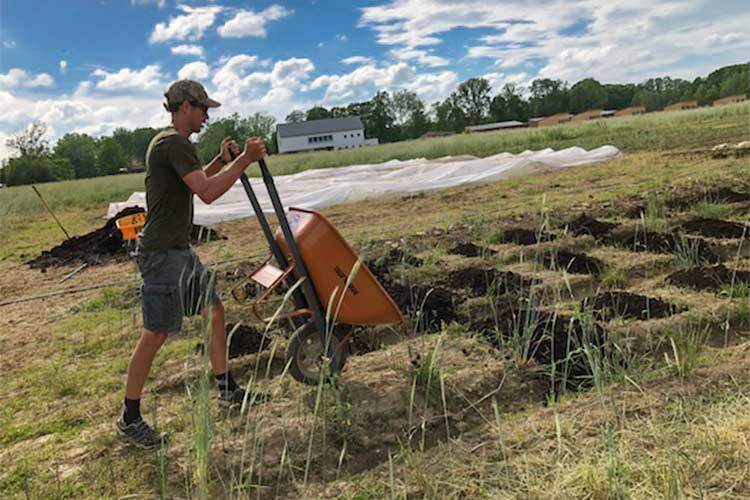 According to the U.S. Department of Agriculture’s latest Census of Agriculture, the number of farmers under 35 years old is increasing for only the second time in the last century. Meet four young Clevelanders who are venturing outside the city limits to pursue new agricultural adventures. The business has been part of Harp’s family for as long as he can remember. It thrived throughout the 60s and 70s, but during the 1980s, Harp says its success started to “fade away” due to the prevalence of big-box stores like Home Depot and Lowe’s. Then, in 1999, the property’s barn burned down after being hit by lighting—taking with it multiple tractors, tools, and fertilizers. When his grandfather passed away in 2015, Harp knew he wanted to restore the land’s legacy and keep it alive. Harp already resided on the property, having moved in after he graduated from Kent State University to help his ailing grandfather. He launched Carl Harp Nursery in 2016, growing everything from dogwoods to arborvitae to burning bush shrubs. Harp says one of his primary goals is to make landscaping more affordable, lowering markup and relying mostly on word-of-mouth advertising. So far, the approach seems to be working—Harp hit his sales threshold the first year, and last year, he tripled it. This year, he’s already surpassed the goal he set for 2018. During the 10 years they’ve been together, Lynea and Kyle Mitchell have traveled the globe nurturing their love of the land—from Vermont to Panama to Mexico to California. According to Lynea, their shared passion for farming started while they were teaching at a boarding school in India. 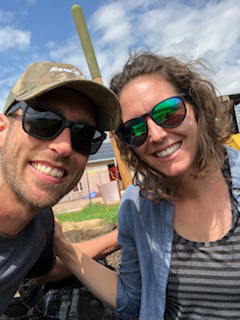 After traveling with WWOOF (World Wide Opportunities on Organic Farms) until 2013, the Mitchells returned to Cleveland, where they got involved with urban farming efforts such as Cleveland Crops and Green Corps (at the Cleveland Botanical Garden). They also started youth gardens at The Music Settlement and Mary Bethune Elementary (as part of the efforts of Refresh Collective, which is run by Lynea’s brother, Doc Harrill). 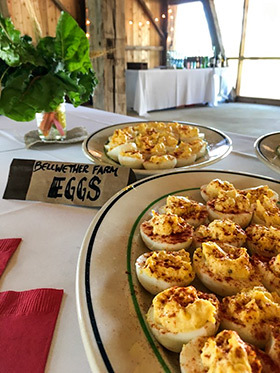 Right now, the Mitchells have about one-and-a-half acres planted on the 137-acre property—as well as a small orchard—with plans for the farm to encompass 15 to 20 acres over time. Currently, the farm has 46 chickens, 10 goats, five guinea fowl, and a few sheep, and the crops include 25 mixed vegetables such as cauliflower, tomatoes, peppers, and broccoli. The Vermilion River runs through the back of the property. 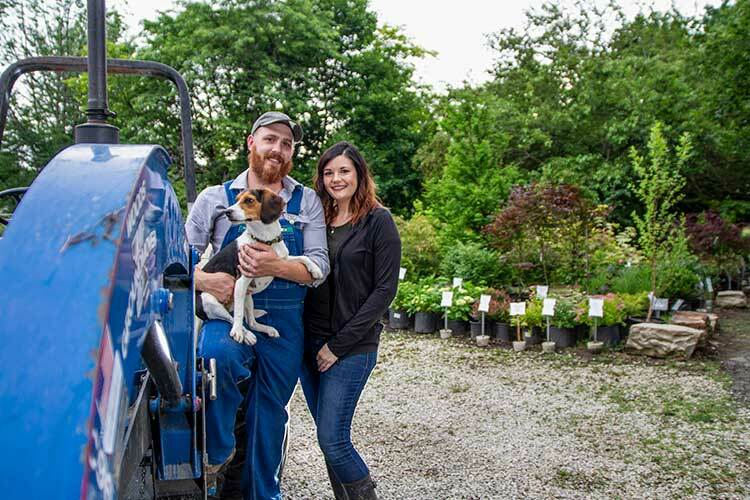 Having lived in Tremont and Glenville since their return to Cleveland five years ago, Lynea and Kyle made the move to Bellwether Farm three weeks ago. One of their first endeavors was to host 40 teenagers from area churches to plant fruit trees in the orchard, and they’re also installing a teaching kitchen in the cafeteria. By day, Emily Pek is a farm associate at Squire Valleevue (a farm owned by Case Western Reserve University in Hunting Valley). 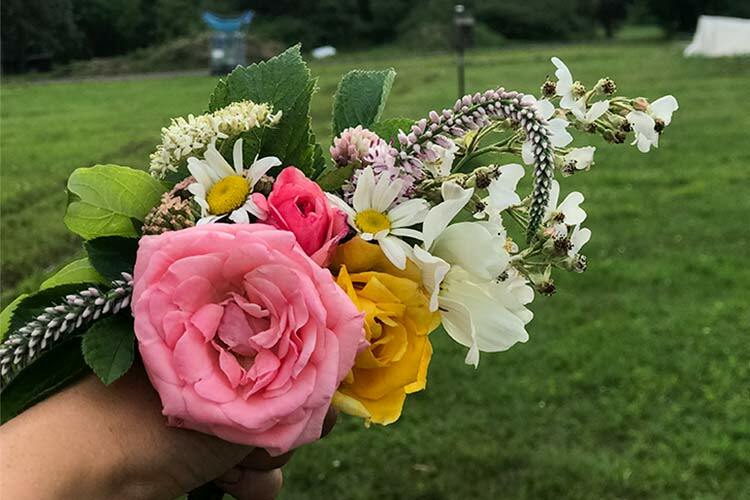 In her off time, she’s working to build Frayed Knot Farm, a small-scale farm in Newbury Township with a focus on regenerative agriculture via cut flowers and herbs. 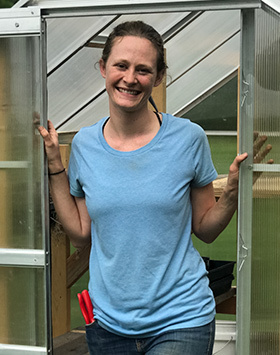 Frayed Knot Farm owner Emily PekThe idea took shape about a year ago when Pek moved back home from New York, where she’d been doing an apprenticeship at Brooklyn-based Youth Farm. Her grandmother suggested that Pek take over a plot of unused land on her property, a proposition Pek found intimidating yet intriguing. 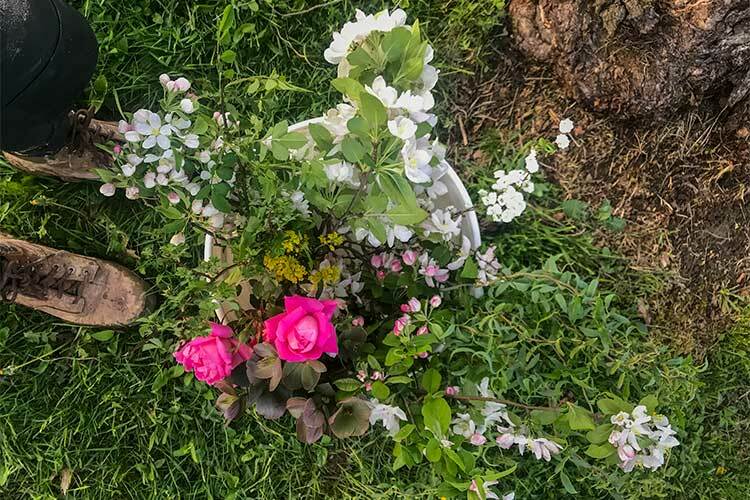 “The land she was suggesting I use was untouched besides being a field of grass, so in order to make a go at it, I would have to start from scratch,” explains Pek. “No water, no buildings, no driveway—just an extension of the property that my grandma’s house is on. I’d be starting from the ground up." Pek decided to do a test run, using part of a friend’s land to grow vegetables and “test some things out for myself and see what the market was like. I was able to learn what it would take to do it on my own.” During the trial run, she participated in a CSA and sold her wares at the West Side Market and a few restaurants. Pek made the choice to pursue her new business in November, and she spent the winter working on “behind-the-scenes logistical stuff,” like zoning, permits, getting quotes for the driveway and the well, and establishing LLC status and various bank accounts. “I wanted to be ready to start growing when spring came,” says Pek, who refers to herself as a "farmher." She did just that, tilling a portion of the land and planting flowers (mostly annuals currently, but she hopes to include perennials in the future). “Something that is super-important to me is growing heirloom varieties as much as possible, as well as things of cultural importance,” says Pek. “The heart of my business is just being able to tell stories through my product and make things really personal for people."